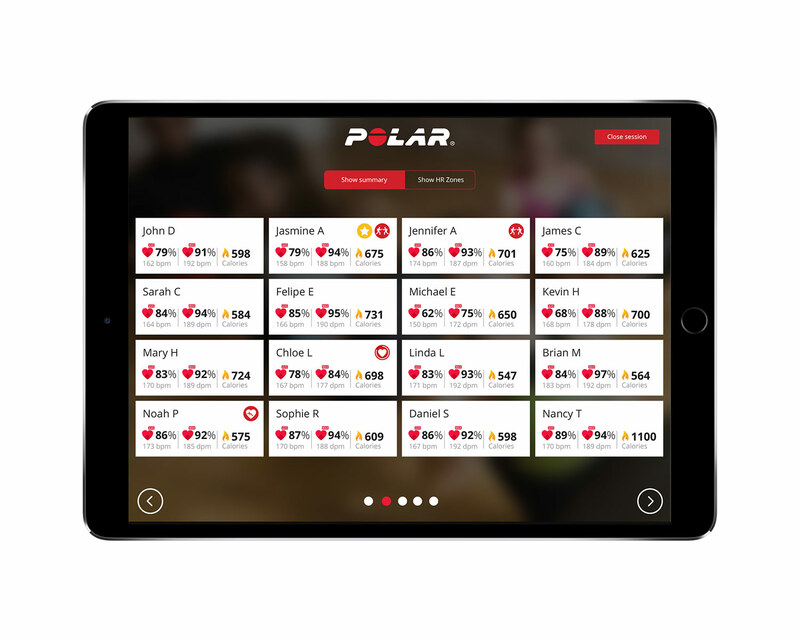 Engage and motivate your members with Polar Club's real-time tracking based on scientifically validated and accurate Polar heart rate zones. If you're looking for wearable technology designed for gyms, studios and health clubs, the Polar Club group fitness and gym heart rate app is the perfect solution to drive results and retention. When you choose Polar Club your members get access to the full Polar ecosystem where everything is connected. Polar fitness trackers help you keep your members motivated beyond your club’s walls. Start selling Polar fitness trackers at your facility and earn extra revenue. Contact us to learn more. *Try free for 30 days. After the free trial period is over, the license fee of Polar Club app and web service is $139 per month or $1499 per year depending on the chosen billing cycle (monthly invoicing available in selected countries). All prices exclude taxes. Subscription will be renewed automatically. Real-time class targets can be set to work as visual group goals for your class and guide members individually to achieve their best. With Phased workouts, you can plan your GX classes in detail according to individual heart rate zones. The informative and visual guidance inspires and motivates class participants to work a lot harder. Requires an iPad Air with iOS 10 or later, and a reliable and fast mobile data or Wi-Fi connection for running classes. A computer or tablet with internet connection to access the Polar Club admin space in web. An external screen for screen sharing. 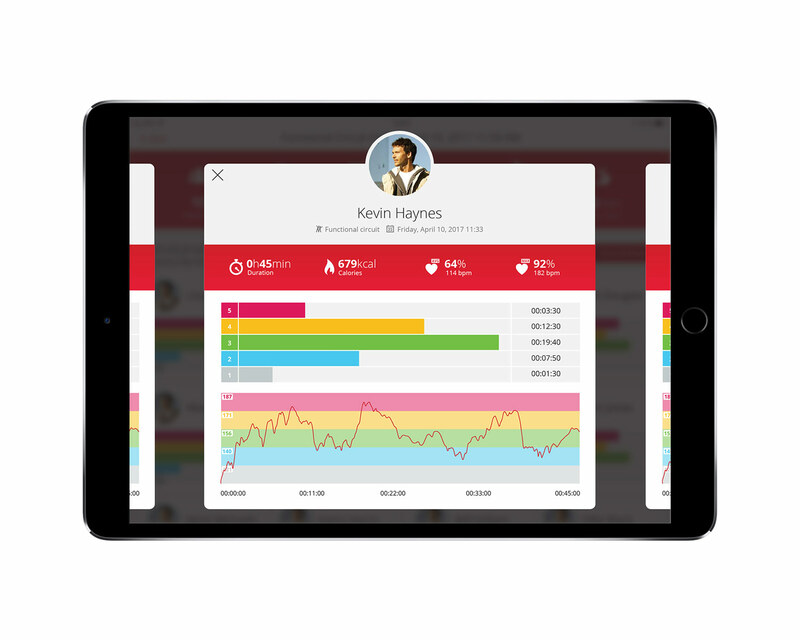 Easily schedule and manage your Polar Club classes on an iPad with class templates and instructor invites. Plan ahead and create a personalized in class experience through real-time class targets and phased workout builder. Polar Club gives you the tools for effective group exercise class scheduling, optimal workload planning and maximizing employee productivity. Want to schedule an all-out week of HIIT workouts or organize a calming collection of mindfulness sessions? No problem. With class templates you can conveniently create repeating classes straight from your iPad. Effortless engagement on-the-go. Real-time class targets can be used as an on-the-go tool to set visual group goals for your class as well as guide members individually to achieve their best. With Phased workouts you can plan your GX classes in detail according to the individual heart rate zones. The informative and visual guidance is sure to inspire and motivate class participants to elevate their effort like never before. 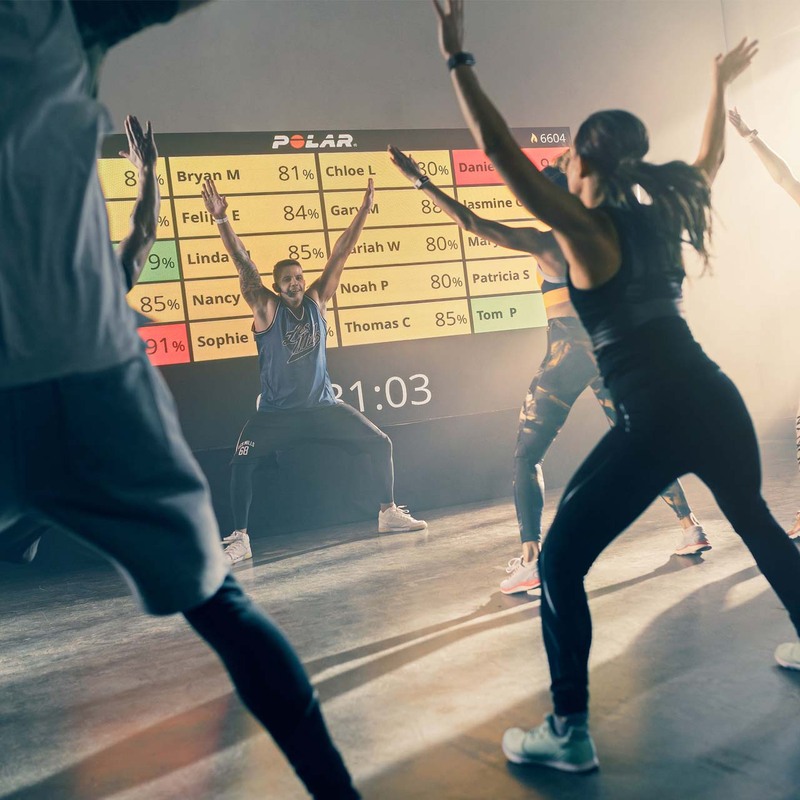 With Polar Club, you can display your class’s real-time heart rate and other performance data during class, so you’ll know exactly how hard each member is working. When we say science, we really mean it. When you choose Polar you can be sure to deliver scientifically validated, accurate and evidence-based results for your members - so they can achieve more. When it comes to fitness, there’s no better way to lift spirits and get people’s hearts pumping than a little friendly competition. It’s also a great way to give your members a healthy spike in motivation through positive peer pressure when they see how hard others are pushing in class. Polar Club Campaign allows you to easily set up and run an engaging competition between your members. Campaign rankings are based on how many training minutes members gather in Polar Club classes. The leaderboard helps you and your members follow who’s in the lead and announce the winner to hand out prizes. All Polar heart rate sensors and fitness trackers are compatible with the Polar Club app. Polar heart rate sensors, such as Polar H10 and Polar OH1, can also broadcast heart rate to compatible fitness apps and gym equipment. 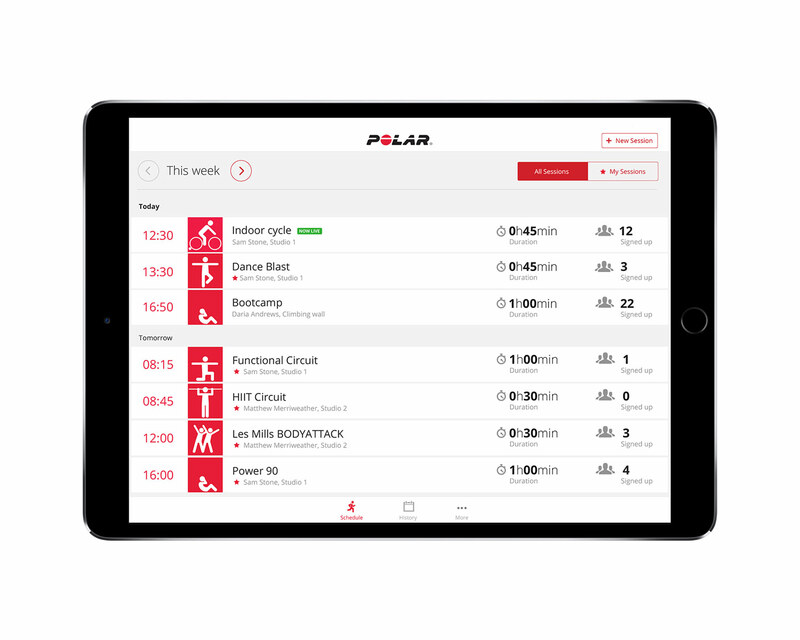 After a group exercise class or individual session your members’ workout summaries will be automatically uploaded to Polar Flow, where all their training data will be conveniently available on one platform. You can automatically sync your training data to other services such as Strava, MyFitnessPal, Nike+, Google Fit, Endomondo and Apple Health. 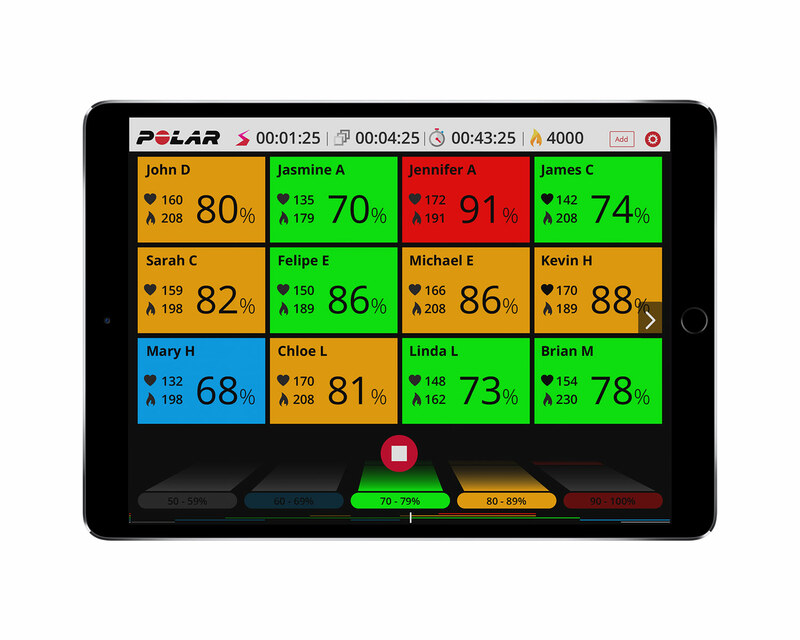 Polar Beat is a free fitness and training app that allows your members to easily plan, train, analyze and share their workouts. Polar Beat is able to sync all of your data to Polar Flow. In the Polar Club community, you can share news and announce challenges to your members and they can share and comment each other's accomplishments. You can personalize Polar Club as your own by adding your club logo, welcome photo, introductory text, welcome text, and creating automated branded end-of-class summary emails.